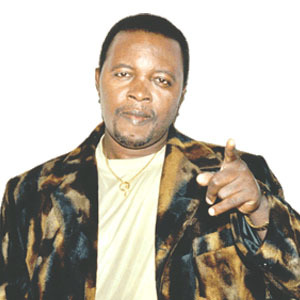 Diblo Dibala, often known simply as Diblo, is a Congolese soukous musician, known as “Machine Gun” for his speed and skill on the guitar. He was born in 1954 in Kisangani. He moved to Kinshasa as a child, and at age 15 won a talent competition which led to him playing guitar in Franco’s TPOK band. Dibala remained with the group for only a short period, going on to play with Vox Africa, Orchestra Bella Mambo and Bella Bela, in which band he first played with Kanda Bongo Man. In 1979, he moved to Brussels, and in 1981he joined Kanda Bongo Man’s band in Paris. Their first album, Iyole (1981), was a success. Diblo became a sought after session guitarist, working with Pepe Kalle and many other soukous musicians. In the mid 1980s, he formed his own band, Loketo (meaning “hips”), with singer Aurlus Mabele. A few years later, that band broke up, and in 1990 he formed a new group, Matchatcha, which is still active after a number of personnel changes.